The Forest Commission reviewed bids for construction of the trail head at the end of Randolph Hill Road, and selected a contractor for job– Kel-log Inc. of Milan who submitted the low bid, at $35,207. Mark Kelley recused himself from the discussion, as the owner of Kel-log Inc. is a relative. The project will take place this spring. 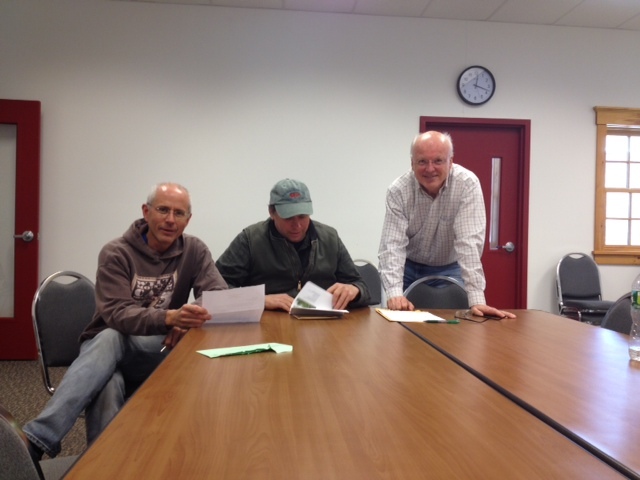 Doug Mayer, John Scarinza and Mark Kelley open the bids for the trailhead project.